On September 30, we painted The Rosewall in Nashville PINK to kick off Breast Cancer Awareness Month! Enjoy these highlights from our "Eat. Drink. 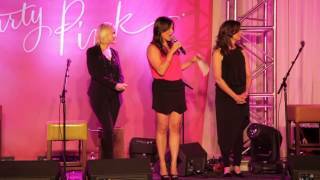 Party Pink" event, which included moving performances from Amy Grant and Kellie Pickler. Amy Grant Performs "Welcome Yourself"